The arena, which has a capacity of 17,000 for ice hockey, opened as the FleetCenter. Its construction costs were $160 million. 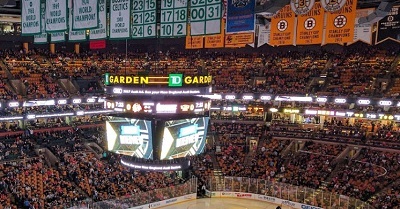 The TD Garden is known as a venue for several events, like basketball, boxing, box lacrosse, concerts, figure skating, ice hockey, mixed martial arts, political events and wrestling. It hosted numerous home games of the Boston Blazers, a former box lacrosse club. The TD Garden is the home of the Boston Bruins of the National Hockey League and the Boston Celtics of the National Basketball Association. Both clubs have been tenants of the venue since 1995. The Boston Bruins won several Stanley Cups and the Boston Celtics became the most successful club in the NBA.